Cinco de Mayo may not be known to everyone…and *USA Today summed it up real well! *”For many Americans, Cinco de Mayo means enjoying Mexican food and probably a few margaritas as well. This day is not Mexico’s Independence day. Mexican independence is celebrated on Sept.16. Cinco de Mayo commemorates the Mexican army’s unlikely victory over the French forces of Napoleon III on May 5, 1862, at the Battle of Puebla. Mexico had troubles paying back war debts to European countries, and France had come to Mexico to collect that debt. So it is still a day to celebrate…if not Independence Day but just to celebrate and who can argue with that? 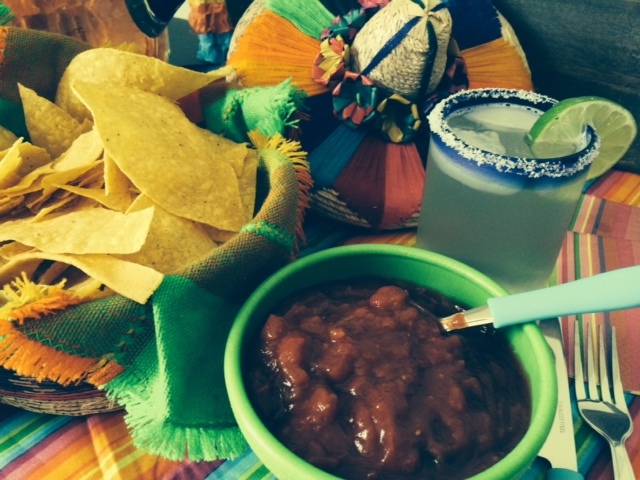 We celebrate Cinco de Mayo in our Villa de la Luna every year! 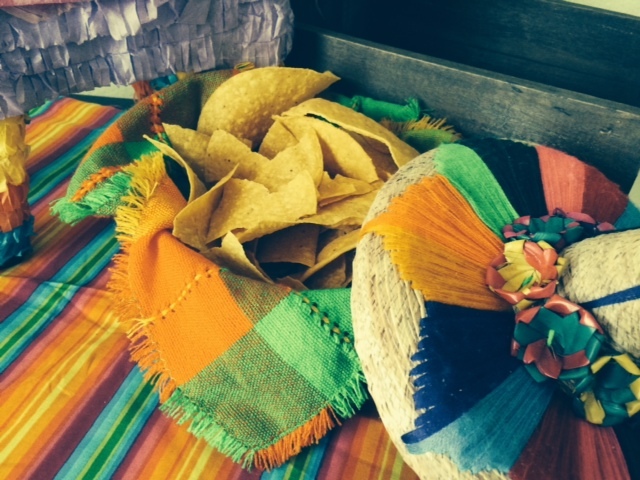 However, we do not need a reason to celebrate ….we just love Mexican food and we love to be together enjoying a party atmosphere…be it ever so small! And this year is no different…The Captain and I will be celebrating a little later…..but I wanted to get the day started and to let you see the menu. It is not a traditional Mexican Menu as I am utilizing the fresh shrimp from our local Fish Monger….but it is close enough. ???? Makes it a sort of Tropics/New Mexico Combo! ???? 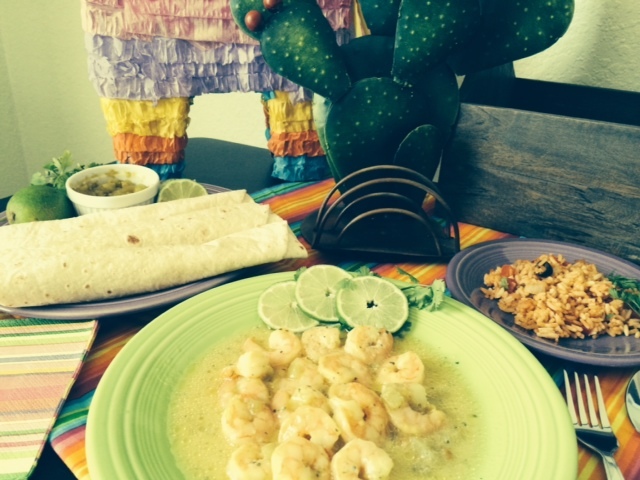 The Shrimp with Key Lime/Green Chiles and Cilantro Sauce is so easy to make…just takes a few minutes and the lime is just enough citrus coupled with the cilantro to really give this dish a burst of freshness, while the green chiles give it the heat. I have included the recipe below. The other recipes can be found in the recipe index. The Mexican Flan was a recipe I gave you just a couple days ago. ???? Warmed tortillas, Mexican Rice, Chips, Salsa and Green Chiles on the side! Yummy! 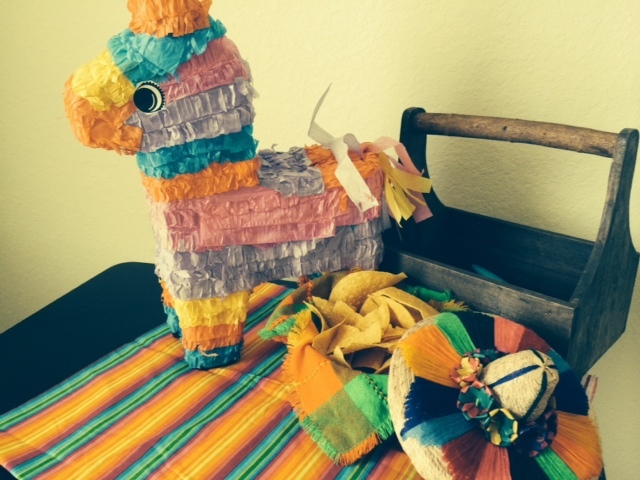 and I love “Donkay” for the decor he brings to a Mexican set table! 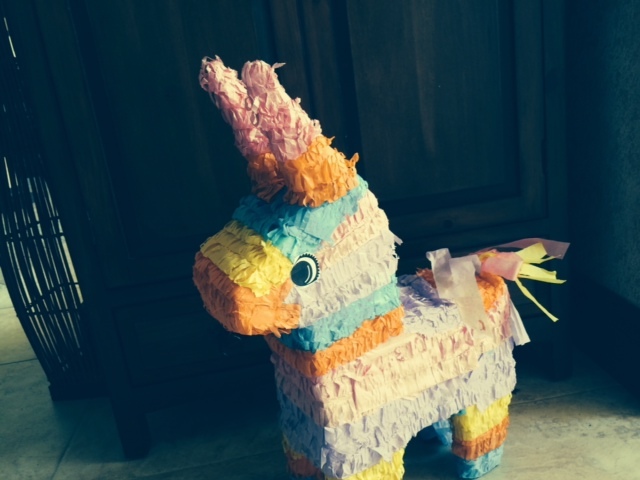 Maybe someday we will break “Donkay” open…but not today….or even this year! “Donkay” is filled with small gumball machine toys…no candy, so nothing to spoil and I have always loved it as a centerpiece for any Mexican Fiesta. P.S…….Remind me to iron that tablecloth before dinner….! ???? Oh, and I should put the green chiles that are sitting on the tortilla Fiesta plate in a Fiesta bowl…not just a plain white ramekin…. Sigh! I will never make Martha Stewart’s list! ???? tsk tsk tsk! 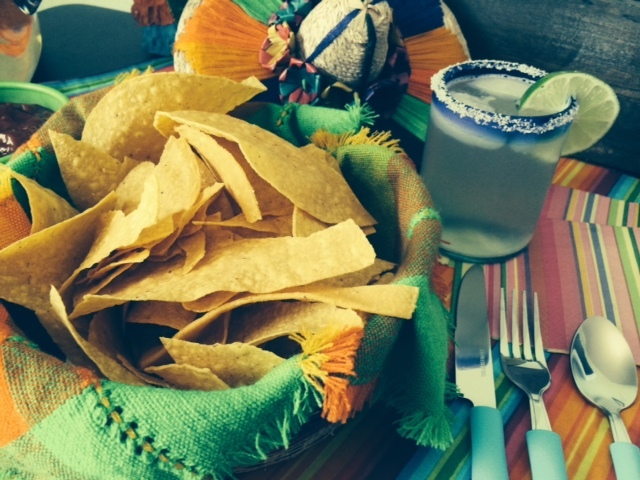 Enjoy your own Mexican Fiesta…. If you love seafood, you can make this entree using any seafood and let it steep in the lime/cilantro sauce. This is definitely a winner recipe! You can whip it up in a matter of minutes! Slice one of the key limes or if you are using regular limes, slice 4 slices off of one lime. Squeeze the juice (about 2 tablespoons)out of the other limes and zest about 1 teaspoon of lime zest. Set aside. Bring sauce to a boil, then simmer for about 1-2 minutes. Add shrimp and cook 2 more minutes until shrimp turn pink, turning shrimp over in the sauce to get a good coating. Taste the sauce and if you want more heat add a few drops of Tabasco. 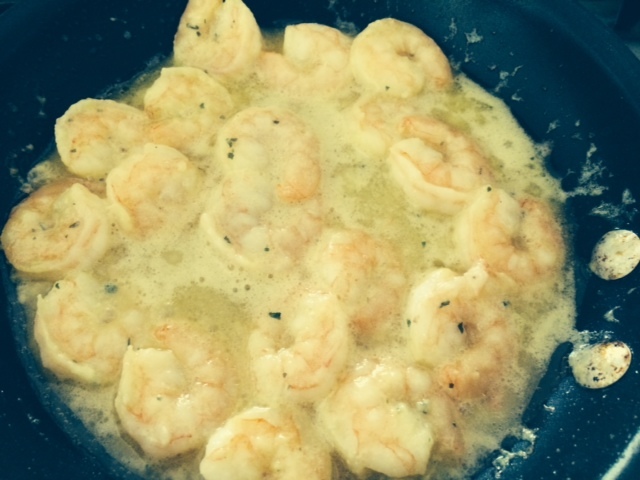 Dip up the shrimp and serve with plenty of sauce. 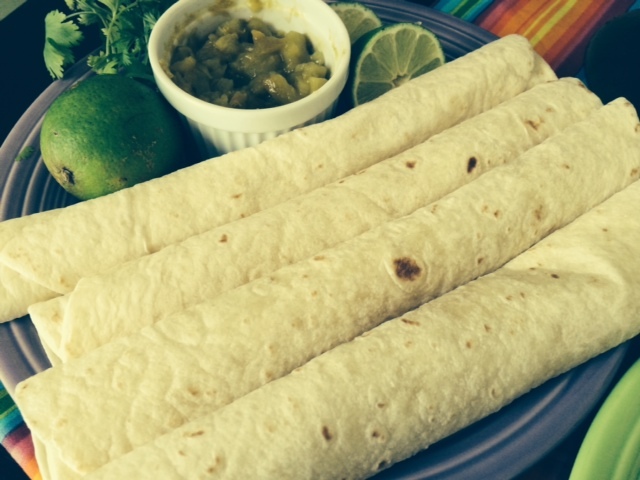 I worked on this recipe wanting to keep the freshness of the key limes but give it the heat of green chiles. The fresh cilantro is a bonus. I didn’t want to have too many mingling of flavors and I think I hit on the right combination. 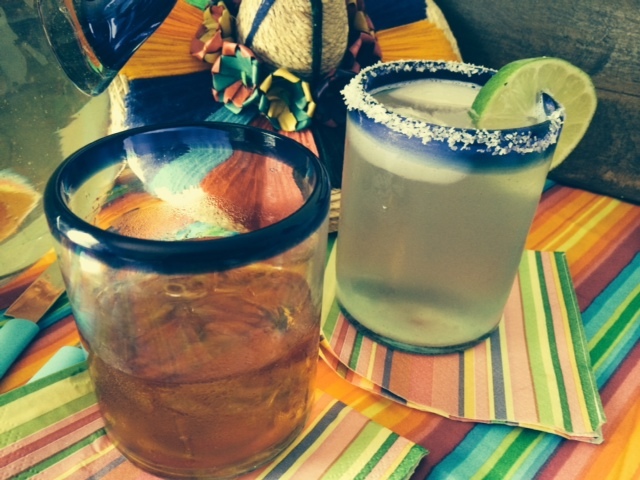 The Captain and I enjoy mixing the Tropics and New Mexico! « The Most Exciting Two Minutes In Sports!